The multi-crore Punjabi music industry is heading towards a disaster because of the flooding of markets by cheap pirated CDs and VCDs of Punjabi audio and video albums. Daler Mehndi today failed to keep his appointment with the Patiala Range Deputy Inspector General of Police, Mr Iqbal Preet Singh Sahota, to give evidence regarding allegations of extortion levelled against the Patiala police officers who, he had claimed, had asked for a bribe of Rs 1.50 crore to keep his name under wraps in the human trafficking case. Taking serious note of human trafficking cases in Punjab, Mr Justice Adarsh Kumar Goel of the Punjab and Haryana High Court has expressed desire for getting a study conducted in the matter. The annual election of the president and other office-bearers of the Shiromani Gurdwara Parbandhak Committee will be held on November 20 at the general House session, convened at the Teja Singh Samundari Hall here. SP’s family shielded in forgery case? The local police has failed to arrest four relatives of a Punjab SP Vigilance and a Moga advocate in a case of forgery of a will and power of attorney, even after the registration of an FIR more than a year ago and denial of an anticipatory bail to them by the Barnala Additional Sessions Judge. The Punjab Government will set up the first Internet exchange in the state. To be established by Punjab Infotech Limited through the various Internet service providers, the setting up of an Internet exchange will bring down the Internet subscription cost substantially and augment Internet highway enablement in the state. Patiala Shiromani Akali Dal leader Darbara Singh Seona, who was expelled from the party for levelling allegations against the Sikh high priests at the “Vishav Sikh Sammelan” organised at SAS Nagar recently, today said a group within the Shiromani committee would oppose the candidature of the candidate put forward by the SAD for presidentship of the committee in the elections scheduled next month. The youth wing of the SAD has decided to issue identity cards to more than one lakh workers during a function scheduled to be held at Desh Bhagat Yaadgar Hall here on November 11. This was stated by the national president of the youth wing, Mr Sharanjit Singh Dhillon, during a function at Lamba Pind, near here, today. The high-level World Bank team which will arrive here on Monday to review Punjab’s financial position, will not depend only on the official view regarding the state’s economy. It will also meet a number of leaders of Opposition parties to have a judicious view of the state’s fiscal health. Mr B.S. Bedi, Managing Director of Titan Motors, an authorised service station of Telco company located in Nabha village, in a letter to the Director-General of Punjab Police, has complained that he has received a threatening call from some unidentified caller. A hotel site auctioned by the Amritsar Improvement Trust today fetched a record amount of Rs 7.11 crore. The Chairperson of the trust, Mrs Ratna, told newsmen here that Rs 16,100 per sq yard was offered for a plot of 4275 sq yards in the Ranjit Avenue District Shopping Centre by the highest bidder, Mr Vijay Sharma. 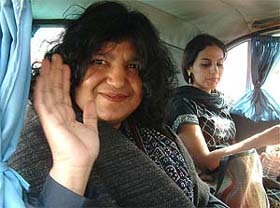 A six-member delegation of Pakistani Sufi singers led by Abida Parveen today returned home after crossing the Wagah checkpost, about 25 km from here. The delegation had come to participate in a programme organised by the “Sufi Foundation of India” in Chandigarh. Criticising the Central Government for not including any issue of Punjab in the 12-point offer extended to Pakistan, Mr Kuldip Singh Wadala, president of the Akali Dal (Democratic), urged the Pakistan government to include Sikhs’ issues in its response to the offer. Mr Paramjeet Singh, a resident of the village in a complaint to the SSP, Ropar today alleged that last year a resident of Oumna (Morinda) village and his family took money from him on the pretext of sending him to Italy. 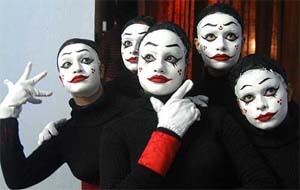 They allegedly took Rs 2.70 lakh from the complainant. A day-long declamation contest on “What is the need of secularism in present social structure of the country” was organised on the inaugural day of 12th “Mela Gadhri Babian Da” here today. Nearly 30 participants from different schools and colleges of the state participated in the competitions. Dr Joginder Singh Bains of Nangal and posted as Director (Geochemistry) in the Geological Survey of India, has been selected for the National Mineral Award for 2002. The award is given by the Government of India for significant contribution in the field of earth science. Mohan, a resident of Delhi, who is suspected to be suffering from dengue fever, was admitted to the local Civil Hospital yesterday. Dr S.K. Goyal, Civil Surgeon, said Mohan had been running temperature but his condition was improving. The marriages of 25 poor couples were solemnised at a function organised by the management of the local DAV Public School today. Items of daily use, including sewing machines, beddings, cycles and utensils, were given to the couples. A local photojournalist made the city proud by taking part in the 141st Edinburgh International Exhibition of Pictorial Photography, England. The three-month-old row between some representatives of various trade unions and the Presiding Officer of the local Labour Court today took a new turn with trade unionists wearing black badges and raising slogans against the behaviour of the officer in presence of police personnel. Five partners of a leading firm of commission agents, cotton merchants and bankers have been sentenced to six months of simple imprisonment and Rs 5,000 fine each for not obeying the award passed by the District Consumer Disputes Redressal Forum for refunding the deposit of a consumer. Some rice millers in an affidavit have levelled corruption charges against FCI officials in the allotment of paddy to selected millers. They have alleged that they had gone to the FCI’s district office several times to get offer forms and sign agreement for milling, but they had been told that the forms had still to be printed. The Chairman of the Punjab State Electricity Board, Mr Y.S. Ratra, held a meeting with the BKU wing headed by Mr Satnam Singh Behru and his associates on the problems being faced by the farmers in the state on account of power shortage. While Sukhminder Singh, a Scheduled Caste resident of Kot Shamir village of this district was done to death by three persons last evening, Gurjant Singh, a resident of Ramanwas village was murdered on Monday night. The Punjab Vigilance Bureau has arrested four employees of the Punjab State Board of Technical Education and Industrial Training, Chandigarh, on charges of corruption and cheating. The reconstituted committee of the Punjabi University Syndicate today submitted a report recommending the discontinuation of the contract of two information technology colleges started by former Vice-Chancellor Jasbir Singh Ahluwalia at its meeting here. 4 teachers for seven students! Mr B. Sarkar, Commissioner, Faridkot division, has expressed surprise over the posting of surplus science teachers at various government senior secondary schools in the district. In a surprise check, he found that three science teachers were functioning for six students at Government Senior Secondary School for Boys Golewala.